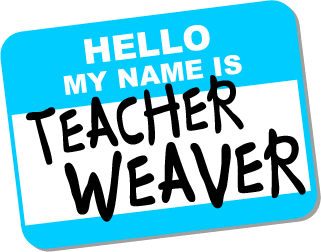 The one stop for all your daily Teacher Weaver needs! The internet and World Wide Web are omnipresent in contemporary society. This topic introduces ITGS students to the technology that enables access to the internet. The tools and applications that contribute to the creation of web-based resources and websites are addressed under topic 3.6, “Multimedia/digital media”. The use of the internet for activities such as e-commerce, academic research and social networking can raise ethical issues and have positive or negative social impacts. These may include exposure to undesirable materials, cyber-bullying, e-fraud, improved communication between individuals and groups, intellectual property theft, plagiarism, spamming and the global dissemination of ideas. Students are expected to discuss, where appropriate, possible solutions to a specified problem and evaluate their effectiveness. A school is considering using the internet to enhance the learning opportunities of its students. Before making a final decision it intends to obtain an outline of the different facilities available. It must also consider the potential problems of opening this “window on the world”. Where appropriate, the ITGS student should investigate different environments to experience the range of available learning opportunities. This may include research using different collaborative websites, educational websites or online sources of information.